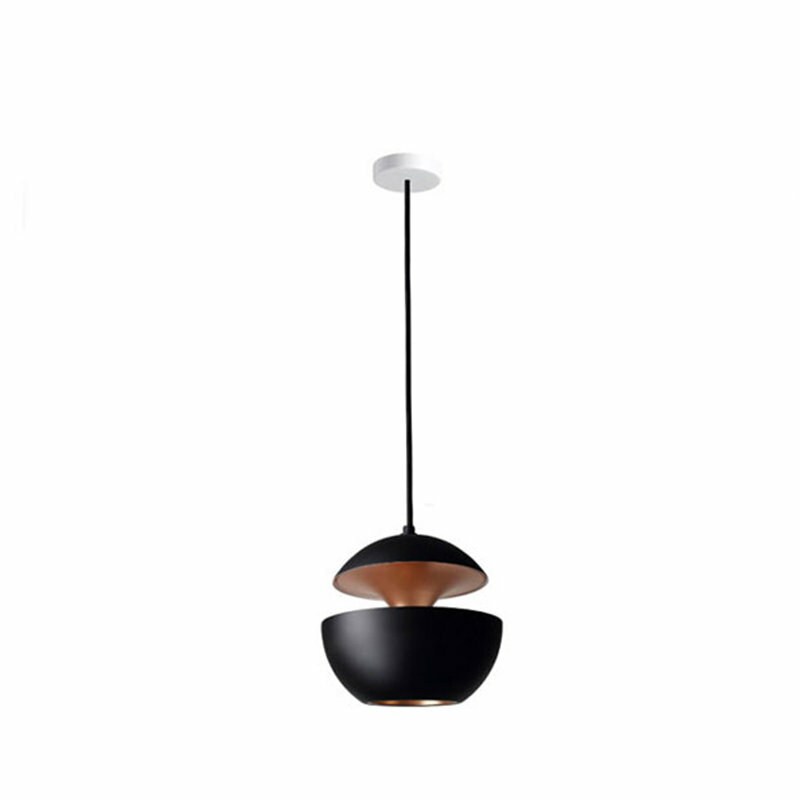 Bertrand Balas' Here Comes The Sun 175 pendant is a classic of French lighting design, relaunched by DCW éditions. 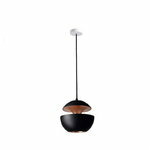 A combination of black outside and shiny copper inside, HCS 175 pendant measures 17,5 cm in diameter, making it suitable also for smaller spaces. Bertrand Balas wanted to name the lamp after the Beatles’ song already when it was first published in 1970, but he was worried about possible copyright issues, so the lamp was released as Here Comes the Sun only later. The biggest inspiration for HCS pendant was, obviously, the sun. From dawn to dusk and the rising moon, many different phases of the sun can be found from the round shapes of the lamp, and the holes on the sides and below the lamp shade let the light shine through in a gentle and interesting way. Here Comes the Sun pendants are available in several colour combinations and sizes, making it easy to choose a perfect lamp for all kinds of interiors and spaces.